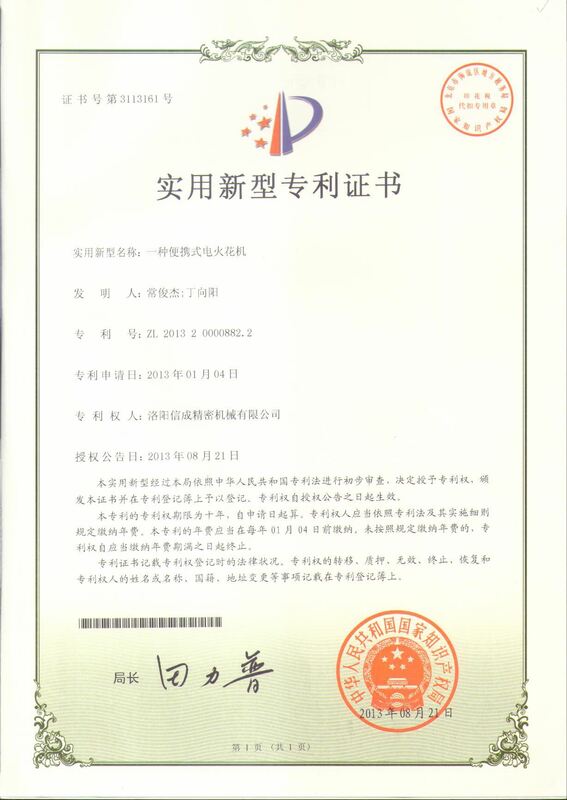 Company Overview - Luoyang Xincheng Precision Machinery Co., Ltd.
5YRSLuoyang Xincheng Precision Machinery Co., Ltd.
Luoyang Xincheng Precision Machinery Co., Ltd. was established in February, 2004 and has more than 100 staff members. Our company has more than 100 sets of machinery, including CNC equipment, various types of machining equipment, heat treatment equipment and testing equipment. 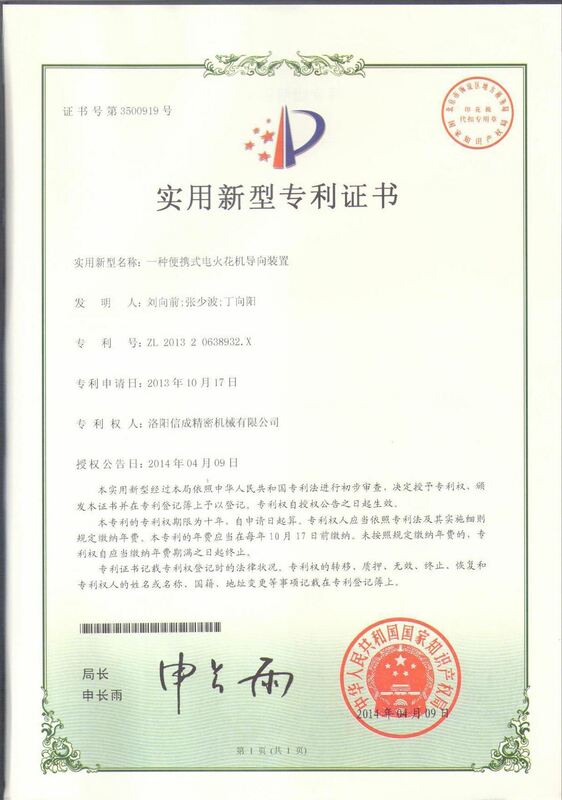 Furthermore, our company is engaged in processing aerospace field precision parts and military products. 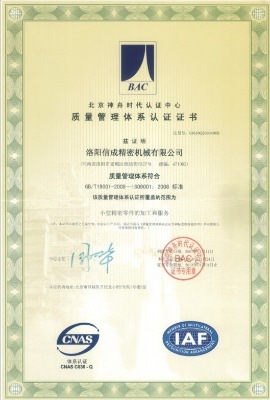 In 2005, our company passed ISO9001:2000 Quality System management certification. 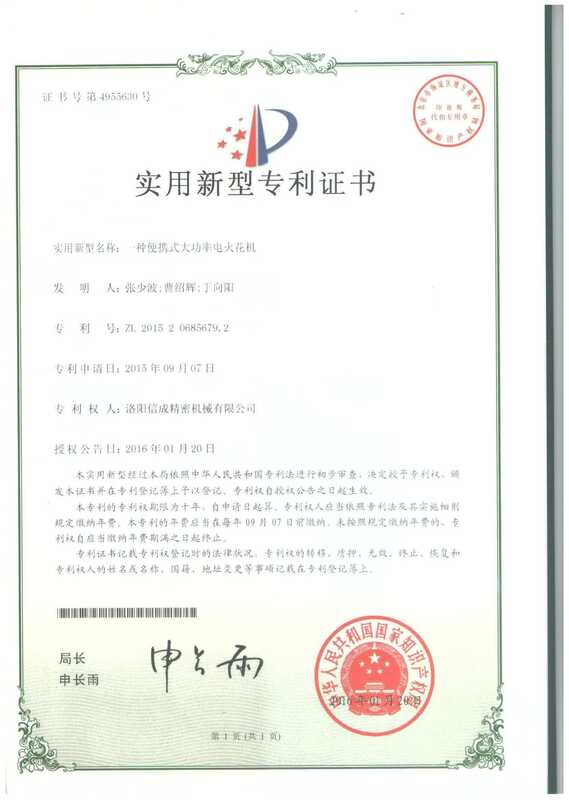 In addition, our company got independent import & export rights in 2009.In October, 2008, our company was engaged in producing CNC tools. Our competitive products - pull studs sell well in the market. Our company provides OEM services for many large and medium-sized tool manufacturers and wholesalers at home and abroad. 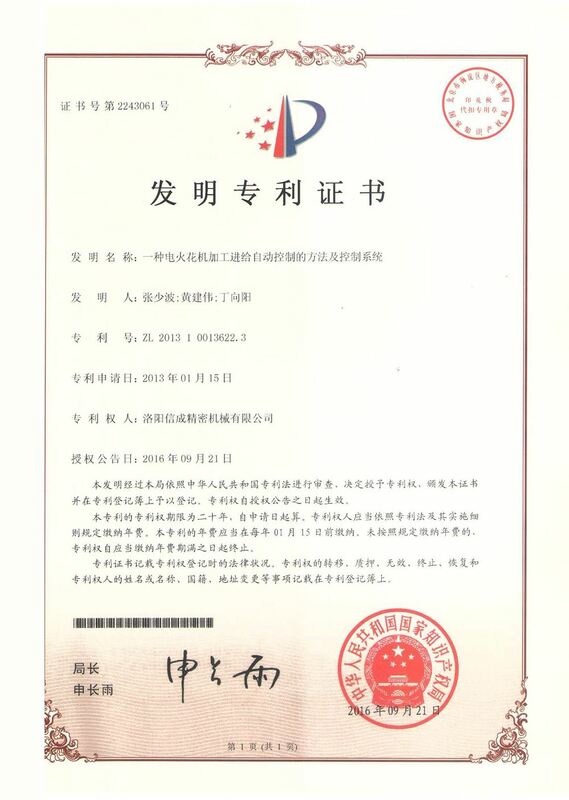 Our company has been enjoying a good reputation for high quality and low price, honesty and credit. With the help of the local research institutions and military units, we have conquered multiple technical difficulties. Our technical department has regular meeting to analyze problems and study how to optimize our production craftsmanship constantly. The way of using subdividing process to produce pull studs makes the complicated work simple. The practice of one person manipulating one machine highly improves the work efficiency. Perfect equipment guarantees the smoothness of process and the consistency of products. 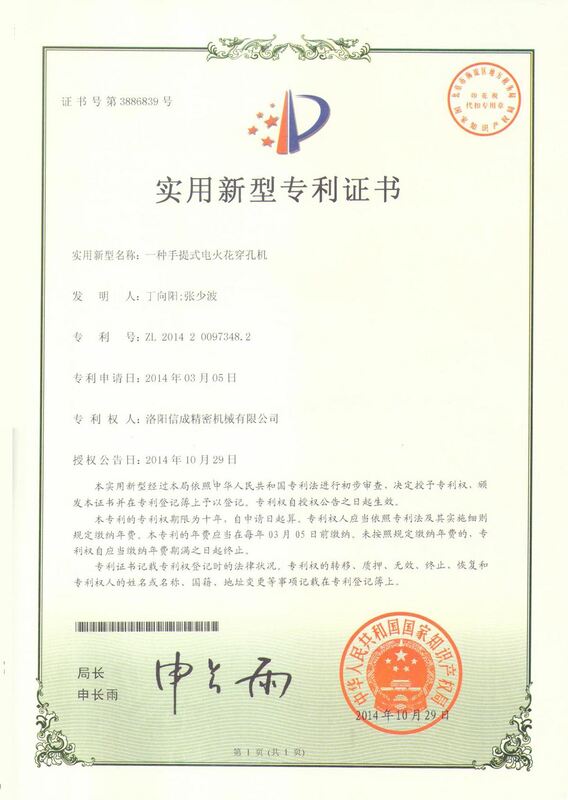 Production process is in strict accordance with the national quality system requirements. From material selection, blocking, machining and heat treatment to tension test, surface treatment, inspection and packing, every step is strictly controlled to ensure perfect appearance, precise size and safety performance.Our products have been divided into three types: firstly, 40CR through-hardening pull studs; secondly, average carburizing and quenching pull studs; thirdly, competitive carburizing and quenching pull studs. The first type uses high-quality medium carbon alloy steel to quench in hardness, cheap in price and high in quality. The second type adopts high quality mild carbon alloy steel, and is soft inside and hard outside and more durable and safer. The third type uses high quality mild carbon alloy steel, and it can be much more standard, better and safer after quenching process the threads, so it is suitable for high-end tool holder.We are devoted to the long-term R&D of CNC pull studs to serve customers from at home and abroad, providing complete types of high quality products. 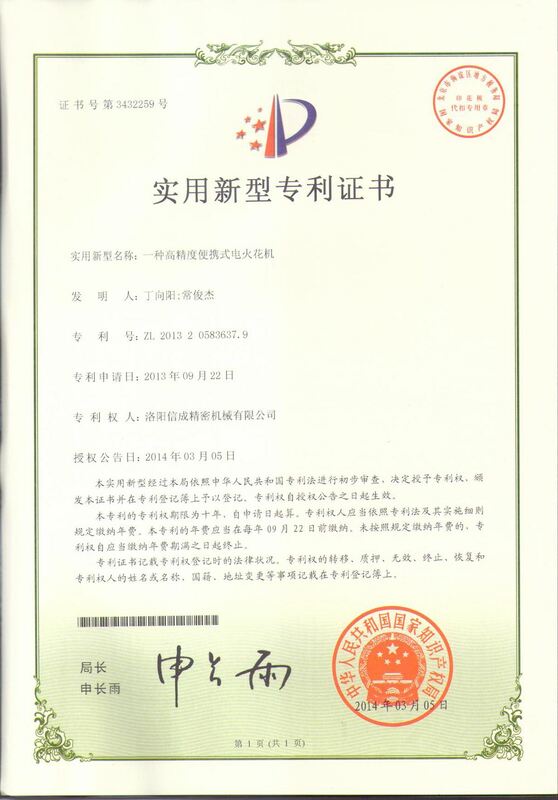 This Verification of Compliance has been issued on a voluntary basis. 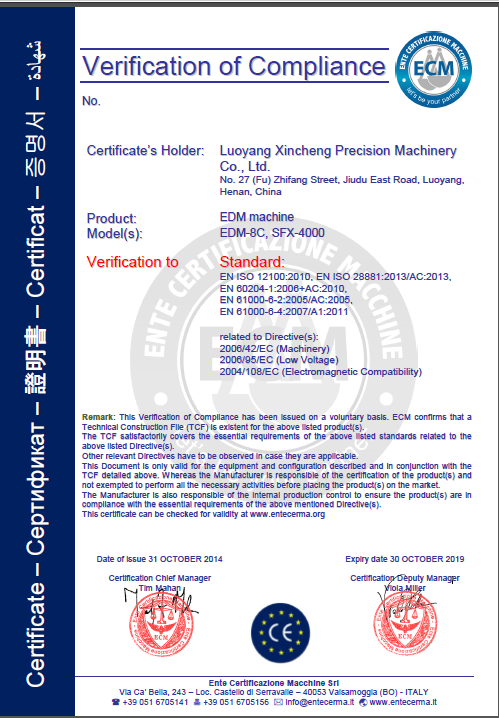 ECM confirms that a Technical Construction File (TCF) is existent for the above listed product(s).